India is a land of diversity where we find varieties of culture at each step throughout the country. The various approaches discussed in this chapter have emotional connect so that the communication will be applicable to culturally diverse groups using a common creative theme. Communication such as the above requires skills like persuasion, comparison, response generation, image building etc. Many advertising methods and attempts suggest that the audience must derive meaning and use imagination to recreate cultural context and meaning. This chapter presents an emotional approach applied to various products to carry meaning in what is influenced by the cultural orientations across India. . The purpose of this paper is to discuss overall fundamental dimensions of Indian culture and its core values and resultant marketing implications. A few examples have been taken and primary research has been conducted to understand the connection between emotions and brand appeal in India. India’s culture is amongst the oldest in the world and our civilization can be dated back to about 4,500 years ago. It is said that “Sa Prathama Sanskruti Vishvavara” which means ‘the first and the supreme culture in the world is India’. It is a land of cultural diversity and rich heritage as many religions co-exist and practice in complete conglomerate in this country. An old saying in India is “Atithi Devo Bhava” which means a place where every guest is treated as God. This land was invaded, lived and thrived by Aryans, Persians, Mughals, French, British and many more. All were welcomed with equal gratitude, humbleness and hospitality. India has become the land where cultures and thoughts interact to provide a new way of living to all with different caste, creed and color. The influence of various cultures on each other is evident from the architecture styles, language as well as the religious practices followed. India is also referred to as the epitome of the world in many countries. Culture is the united thought that includes knowledge, faith, customs and many traditions attained by people in the society. India is a land of diverse cultures and this unique intermingling of cultures impacts on consumption patterns of people. The consumption pattern is usually looked at through the cultural philosophy lens for consumers. This creates an opportunity as well as problems for the marketers, business houses to promote their brands for appealing to consumers/ people / Individuals. A brand, to compete and to co-exist and be accepted by the customers, has to overcome the first roadblock of this cultural situation. Brand has to adopt the new strategies in line with this prevailing cultural philosophy so that the brand can represent the Indian culture. One of the important evidence of branding is to reduce the hunt and danger taken by customers so that the overall cost is reduced. Every brand will be known and recognized by any customer by standard images, tag-lines, attributes and features conveyed through different modes of communication. 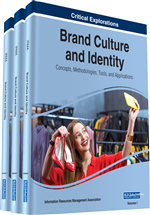 Most of the brands endeavor to maintain their identity and image across the different markets. This standard brand has to grow and adopt across countries culturally and as per customers preference. Marketers should adopt strategy and models so that cultural meaning is assigned to their consumer brand through activities like expansion, emotional communication of brand and brand strengthening. The brand itself must have attributes with emotions relating to cultural appeal such as ‘natural’ for Dabur or ‘high interest rates’ for ICICI. Fundamental dimensions of Indian culture should be imbibed in the brand for emotional communication and strategies should be adopted for brand development and influence. Other emotions and techniques must also be added to develop flavor like aligning pricing and product placement (Nokia mobile handsets for rural areas), promotion and packaging (Like sachets by HLL /Unilever for rural areas) to connote the cultural sense. Emotional branding in a layman’s language can be understood as the exercise of building the people’s desire towards a brand by creating appeal that directly relate to a customer’ emotional state. It is a very effective tool in India as it Indian people are sensitive and this sort of brand appeal can trigger an emotional response and Indian consumer, is too much emotionally attached to a product (dead or alive) and is not fully rational. Emotions when related to a brand cause a trigger to disrupt and impact on our attitude, behavior and thoughts because of the consumer practices which are related to a brand are attached with emotions like love, happiness, sadness etc.